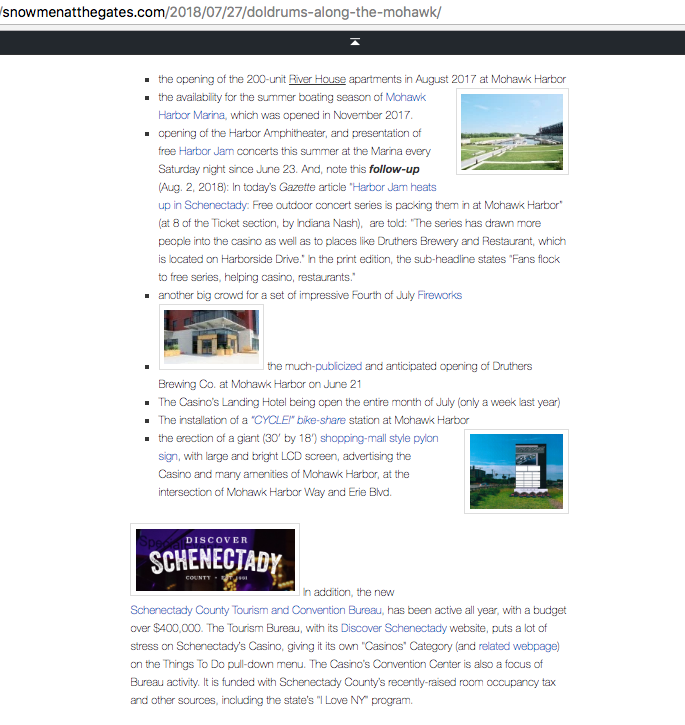 We are, therefore, in the very Catch-22 situation that any thinking person (especially those not hoping to cash in on the coming of a casino to Schenectady), and any thoughtful politician or leader (especially those realistically looking after the interests of the entire community, weighing pros and cons, and benefits to risks) would have foreseen and avoided when the Casino-In-Schenectady process started in 2014. 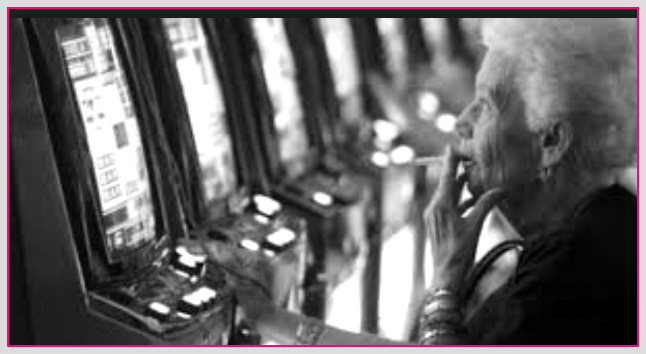 Attempting to increase the revenue levels at the Casino will almost certainly increase the social cost, including increasing the incidence of problem gambling, and a Substitution Effect, that drains dollars from existing businesses in the entertainment and hospitality sectors. 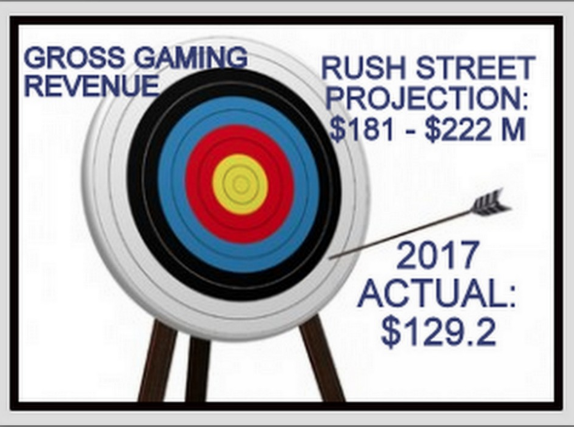 Politicians, will suggest tax breaks for the Casino owners and developer, that actually a likely to reduce the amount received by the State, City and County, and increase profits for the Casino Gang [Rush Street Gaming, Galesi Group, associated business “partners”], who do not need to meet the phony projections to reap a profit. Rivers Casino and Mohawk Harbor efforts aimed at Millennials, who prefer drink (esp. 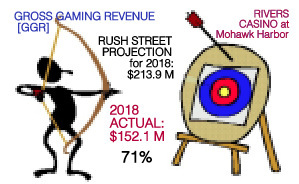 craft beer), food, and live entertainment to gambling, will aid the bottom line of the Casino Gang, without a corresponding increase in revenue to the State or municipalities, because sales taxes are so much lower than gambling revenue taxes. It is difficult to talk about a Schenectady without a Casino and work toward a transition, when many individuals and families are now counting on the jobs at Rivers Casino, and its failure will cause much social disruption and pain. This entry was posted in Problem Gambling, Revenue Promises, Schenectady Casino by David Giacalone. Bookmark the permalink.